Understanding Georgia Law: Hit and Run Insurance Coverage? Hit and Run Insurance Coverage? Nobody dreams of being in a car accident, but being hit by a driver who deliberately doesn’t stop after the accident is even worse. Did you know that under Georgia law you still might be entitled to recover after a hit and run accident, even if you do not know the identity of the other driver or his or her insurance company? The answer lies in Georgia insurance law and uninsured motorist coverage. Many of our insurance policies carry uninsured motorist coverage (also called UM coverage or underinsured motorist coverage). Uninsured Motorist coverage works like a protective shield against drivers who (a) have no insurance, (b) do not have enough insurance, or (c) flee the scene of the accident. The UM coverage “steps in” the place of the other driver’s insurance and protects you from injuries and property damage caused by hit and run drivers. 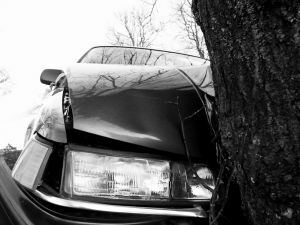 Insurance law is extremely complicated, particularly when uninsured motorist coverage is involved. If you are ever hit by a vehicle in a hit and run situation, you should make sure that you contact a personal injury attorney immediately after the accident to preserve your right to collect this additional insurance coverage. Our firm sees UM coverage cases regularly, and most times we find additional insurance coverage for clients that they never knew existed. For example, many people (and even some attorneys) are unaware that you might have additional UM coverage on another vehicle's policy, a boat policy, a motorcycle policy, or an RV policy which could also provide you with additional coverage -- even if you were not operating that vehicle at the time of the accident. Failure to talk with an attorney experienced in this area who knows where to find this additional coverage could leave you unable to collect all the insurance payments that you deserve. Here at the Law Offices of R. Michael Coker, LLC, we will examine all the circumstances surrounding the incident. It will be our job to find you all the uninsured motorist coverage available based on all insurance policies in your household and collect as much of it as possible – even if we never identify the hit-and-run driver. It might seem amazing to most ordinary citizens that anybody could hit another human being and not stop, but the sad reality is that these accidents happen daily in Georgia. The driver might be drunk and does not wish to receive a DUI. They may have no insurance. They may have stolen the vehicle, or be underage and have no license. Having UM coverage is essential to protect from one of these criminal actions. If you were involved in a car accident where the other driver fled the scene of the accident and you don’t know his or her identity, call our office for a free consultation. We want to make sure that you get all of the coverage available to you. You paid for the coverage, and if you need it, you have the right to collect it.